After last week’s SAP analytics press conference, Katherine Jones and I got to sit down with Tom Peck, CIO of Levi Strauss. We learned a lot about what it takes to create great BI (business intelligence) applications in a large, global, complex company like Levi Strauss. For example, retailers like Levi Strauss capture a lot of point of sale data that can swamp a data warehousing or analytics technology. The volumes Tom is dealing with currently exceed the practical limits of using in-core (memory resident) processing of data. In fact, Levi is using Teradata to handle some of this. Could your firm handle 20 terabytes of new data from one feed every day? 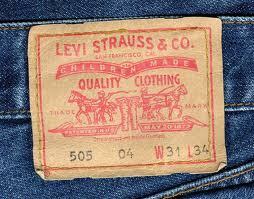 Levi Strauss had 30+ BI products from approximately 15 vendors when Tom arrived at the firm. Data was stored in different warehouses in different parts of the firm and, I believe, at different levels of detail. One of the main goals that Tom had was to get to a single version of the truth for business decision making. This is where Levi Strauss began by consolidating different data warehouses and creating a new lingua franca for the firm via a new business analytics solution. Not surprisingly, this journey has taken several years as the company has different application software in use around the globe and is frequently making new acquisitions which must be merged into the IT and business operations environments. When we asked Tom what the next steps were, he indicated that their priorities will be fingertip/mobile solutions; iPad support; and, other projects to improve the speed in decision making in the field.